On the heels of her historic and record-setting sixth “Video of the Year” win last year (her fourth consecutive win), reigning champ, Carrie Underwood, is set to protect her crown against powerhouse first-time nominees Chris Stapleton and Cam, who top nominations for the fan-selected “2016 CMT Music Awards.” With three nominations each, including “Video of the Year,” they will face off in top categories against superstars Blake Shelton, Brothers Osborne, Florida Georgia Line, Keith Urban, Kelsea Ballerini, Little Big Town, Luke Bryan, Maren Morris, Old Dominion, Sam Hunt and Thomas Rhett, who each garnered two nominations, live from Nashville’s Bridgestone Arena on Wednesday, June 8th at 8 pm ET/PT. The battle for the highly coveted CMT Music Awards buckle for “Video of the Year” is intense with previous “Video of the Year” winners Carrie Underwood and Keith Urban fending off superstars like Blake Shelton, Florida Georgia Line, Jason Aldean, Little Big Town, Luke Bryan, Sam Hunt, Thomas Rhett and Tim McGraw, who’ve never walked away with the night’s top prize. Fan voting begins today at CMT.com and continues until Monday, June 6th at 12:01 AM ET. 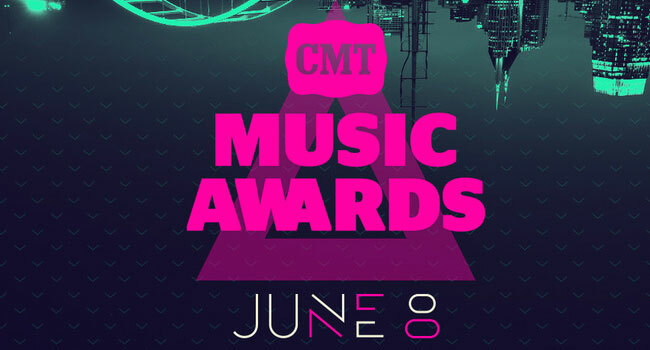 On Wednesday, June 1st, CMT will announce a brand-new surprise awards category. In the coming weeks, CMT will reveal this year’s host, performers, presenters and more. Best video of the year; awarded to the artist (male, female, group/duo or collaboration) and the video director. Final nominees announced during live telecast, with final voting held online at CMT.com during the show. Fans can vote online at CMT.com and on their mobile device to determine the winners. The six finalists for Video of the Year will be announced at the beginning of the live show and fans can then vote throughout the live telecast (ET/CT only) to determine the night’s big winner.